The 1709 Blog: Too many California girls? A few weeks ago, this blog reported here about the efforts of Performing Rights Organizations (PROs) to collect royalties from commercial users of music throughout the United States. Notably, PROs have developed proprietary technology that can recognize millions of songs even by just a few notes. Using this technology, the PROs can easily recognized when music they represent has been "sampled," interwoven in part into a new piece of music by another artist, thus generating royalty obligations. Now comes news that Rondor Music International, the publishing company that controls the rights to the Beach Boys' "California Girls" has sent a claim notice to Katy Perry, Snoop Dogg, and their co-writers and publishers demanding that they add the Beach Boys' members as co-authors of their song "California Gurls" because the song references the Beach Boys' classic song. "[it] obviously brings to mind our 'California Girls,' it's just in a different vernacular, a different way of appreciating the same things. The Beach Boys have always accentuated the positive, and [Perry's] is a positive message about California Girls, so what's not to like?" Music publishers like Rondor, by contrast, don't appreciate imitation without remuneration. The Perry/Snoop Dogg song absolutely evokes the Beach Boys' classic, but it has its own flavor and lyrics, with the exception of one nearly identical line ("I really wish you all could be California girls"). Is there enough overlap to warrant co-writing credits and copyright interests? Rondor certainly believes so: "It is up to the six writers and various publishers of 'California Gurls' to decide whether they honor the claim or not." On the other hand, there are certainly agruments, like fair use, that could lead to a finding against Rondor if this incident ever lands in court. 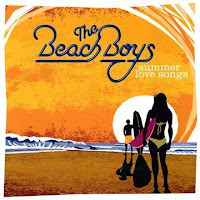 No hint yet on what action Rondor may take if the Beach Boys aren't granted the co-writing credits sought.